The Water Depot bottles both Purified Water (Purified by Reverse Osmosis, Carbon Filtration and Ozonation) as well as Award Winning Natural Spring Water. We adhere to all EPA standards for both Purified water and Spring water, ensuring that each bottle is free from contaminants. Our bottles, caps and our custom labels are of the highest quality, 100% BPA Free and 100% Recyclable. We also now offer rPET bottles which are eco friendly bottles made from recycled plastic bottles (currently available at our MD and CA bottling plants). Advertising on a bottle of fresh, great tasting water is an excellent way to reach your customers and make them feel happy and refreshed! And what better time to sell to them! 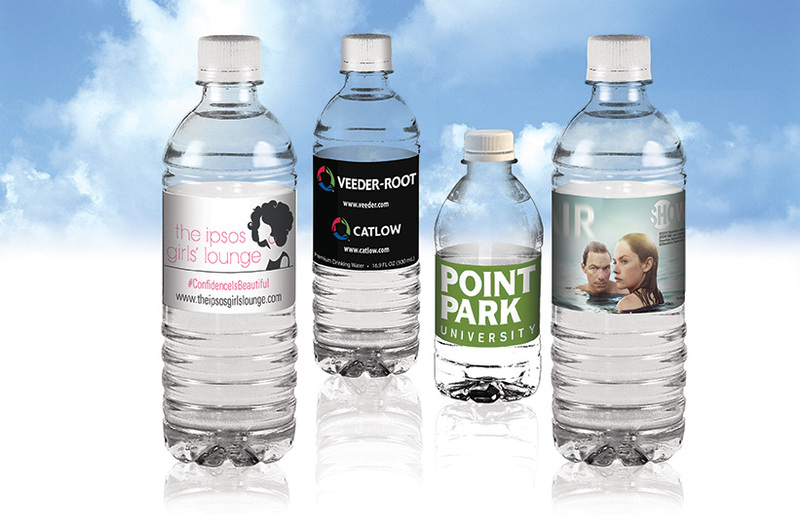 Custom Label Bottled Water promotes your company / brand instead of someone else’s! Custom Bottled Water is healthy and free of preservatives / caffeine / sugar! Advertising on a bottle of fresh, great tasting water is an excellent way to reach your customers and make them feel happy and refreshed! Why you should order from The Water Depot? The Water Depot’s mission statement focuses around Customer Service and Quality. And we follow through on this. Our excellent customer service staff try their absolute best to answer every phone call and respond to every e-mail inquiry within minutes! LOW 1 CASE (24 bottles) MINIMUMS! FAST TURN TIMES – The Water Depot has the Fastest order turn times in the industry. The RUSH ORDER is our Specialty! The Water Depot can SAVE you a boatload on shipping! Because we ship nationwide from FL, GA, MD, PA, KS, TX, AZ, CA and Alberta Canada! We at the Water Depot have been doing this for 10+ years — we know how to do it right and on time! The Water Depot only uses the highest quality bottles and top of the line digitally / flexo full color HD, water proof custom labels. The Water Depot stands behind our work guaranteeing your satisfaction. We are 100% made in the USA!